This is my second book review – The Leadership Moment by Michael Useem. 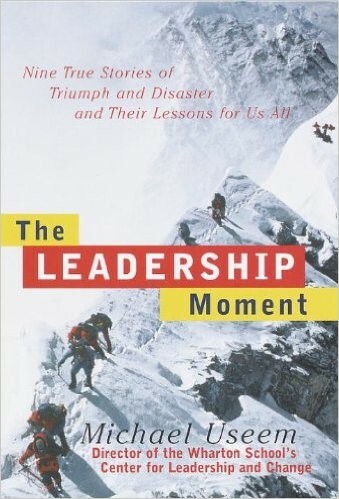 The book shares nine short, true stories of moments of leadership. Useem does a great job capturing stories from executives of large corporations to fire chiefs and extreme climbers. Each story details the events and decisions of the leaders and the implications of each leader’s actions (or inaction). Successful leaders take action decisively, and as soon as possible. Extreme leadership moments tend to occur out of extraordinary circumstances like Apollo 13’s Eugene Kranz. Eugene was the NASA Flight Director in charge of the control room, and he had the unenviable leadership moment to bring back the astronauts of the crippled Apollo 13. Given the incredibly depleting oxygen levels and power, Kranz had to make decision after decision quickly and decisively. Inaction is sometimes the most damning action of all. Useem shares the story of John Gutfreund’s fall at Salomon Inc. Gutfreund failed to address continuous SEC infractions by one of his employees, Paul Mozer. Paul was pocketing millions of dollars while misappropriating Salomon’s clients funds to side-step SEC regulations. Gutfreund knew of Mozer’s transgressions and failed to not only reprimand Mozer, but also failed to share the known infractions with the SEC. Investigations would embroil Salomon into scandals that eventually forced Gutfreund to leave the CEO post while the company fought for survival. Communication, trust, and delegation enables a leader to accomplish more than s/he could ever achieve alone. Leveraging Apollo 13’s Eugene Kranz again, Useem shared how Kranz created several specialist groups to find solutions to some of the most complex scenarios NASA has ever experienced. Kranz knew his team members were some of the brightest, most capable people. He bestowed the greatest trust and delegation to his teams with the lives of the Apollo 13 astronauts at stake. Remember the ethos of the company to have a great impact. Roy Vagelos at Merck Pharmaceuticals had developed a drug that could cure and prevent early stage river blindness called Mectizan. Problem was, the 20M people who needed it was largely poor. To develop the drug would cost Merck hundreds of millions including testing, adhere to regulations, distribution, etc. Roy decided that despite little to no return to shareholders, it was Merck’s responsibility to develop and distribute the drug at no cost forever. Roy leaned on the company’s mission to “provide innovative, distinctive products and services that save and improve lives”. Since 1986, the drug has been distributed to over 55M people. These were just a few of the lessons from The Leadership Moment. There are several implications per story. 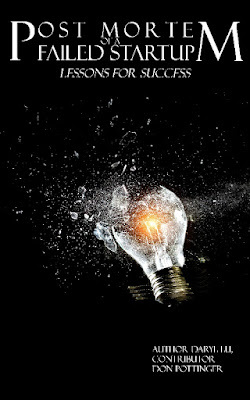 I really enjoyed the book as it made me put myself into the situations of the leaders. It’s easy to see some of the missteps and challenges each leader was faced with. It’s even easier to assume I would make the smart, best moves, but in the situation, much is happening that decisions will be complicated. However, by reading these stories, I hope to be ready for my leadership moments in the future. If you follow me on Instagramor have spoken to me recently, you might know I’m writing an ebook about startups and entrepreneurship. Specifically, I’m detailing the lessons learned from failure via Body Boss. I’m also collaborating with Don Pottingeron the book. I’ve never written long form before outside of school which I really didn’t enjoy. This, though, goes way beyond anything I’ve ever written at 60-something real experience-filled, highly revealing pages. However, much like the rest of my writing and book reading these days, I enjoyed writing this book A LOT. It’s all about context and startups and entrepreneurship are my passions. I’ve already gotten a lot of great feedback from early readers and editors. My editors are friends with amazingly critical mindsets. It took a bit of courage to ask them to review and edit the book, but in the end, I knew their comments and suggestions would make me a better writer and the book would be better for all my readers. I started writing consistently 3+ years ago, and have enjoyed it immensely. It’s taught me a lot about communication, and the experience has given me greater confidence. I really wanted to start another product-oriented business by the end of the year, but realized that wasn’t going to happen. So if I wasn’t going to build a business, then I wanted to build up my brand. Meanwhile over the years, I’ve met with students, entrepreneurs, investors, industry professionals, and others. Many seek advice because of my experience from startups and my consulting engagements. 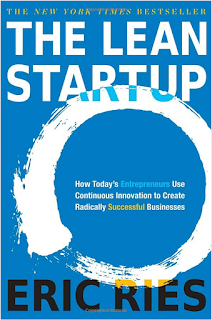 I’d like to add this book as a “channel” to help others understand startups and entrepreneurship especially in the light of the missteps and successes of Body Boss. What’s my vision for the book? I hope first-time entrepreneurs find the book informative, and the book helps them avoid the traps we fell prey to at Body Boss. I also see value in this book for wantrepreneurs and those in the corporate realm looking to innovate or make that jump to the next level. As I continue to find my Next Great Move, I want to build my personal brand and collateral. This will have a compounding effect with networking and professional skills with added credibility to my CV. Much of success can be attributed to focus, intensity, and connections. I want to use this book as a platform for more introductions and customer discovery as I build the next startup. The book will add to my foundation for future success. Further, I have a long-term goal of teaching entrepreneurship and public speaking (Ted!). This book will be another step in my academic career and add credibility as a public speaker. I want this book to have the greatest impact possible, and thus, will list the book for free on Amazon’s Kindle platform. When’s this book coming out? End of the year, or very early 2016 so I kick off the year in spectacular fashion. What’s the name of the book, and what else do you, a potential reader, need to know? As of this writing, the book is in final edits, and all that’s left is getting an International Standard Book Number (ISBN), registering the book for copyright, converting the book into Amazon’s Kindle format, and… releasing the book into the wild. Needless to say, I’m pretty stoked. I never thought I’d write a book even if it’s not a novel. However, I’m always happy to keep pushing my limits of what I think I can or cannot do. It’s all about context – why am I doing this? I’ve written the book to stay true to my personality and easily readable for everyone. I’ve had several non-technical, non-entrepreneurs read the book, and they’ve all appreciated the legibility of the book, and it’s started some fun discussions. Anyways, stay tuned, and pleasesign up on the landing page to be notified when the book is ready! The other night’s Miss Universe beauty pageant highlighted another example of how poor design can lead to awkward, high profile consequences. If you haven’t seen or heard, Steve Harvey mistakenly proclaims Miss Colombia as Miss Universe. 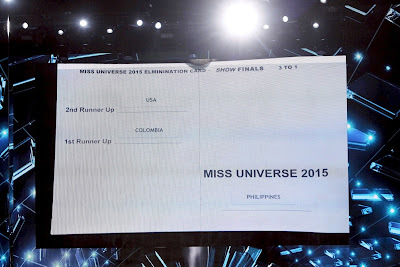 Steve had to apologize and backtrack and name the real winner, Miss Philippines. As you’d expect, the internet exploded with internet memes and Twitter posts poking fun at Steve. I harp on UI and UX a fair bit already, and this just highlights the importance of clean, directed design. You can understand the need for the card to be easily editable so winners can be printed after votes. However, their design is not good, and did nothing to help Steve. 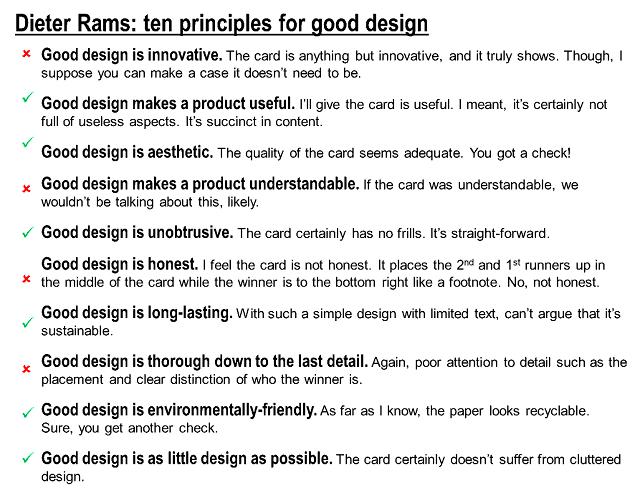 The biggest principles the card failed was being understandable and thorough down to the details. I don’t know if the pageant also reviewed what the card looked like with Steve beforehand, but a little training upfront could have helped. However, great design should allow anyone to understand a product with or without training. Okay, so I’m still not a designer. 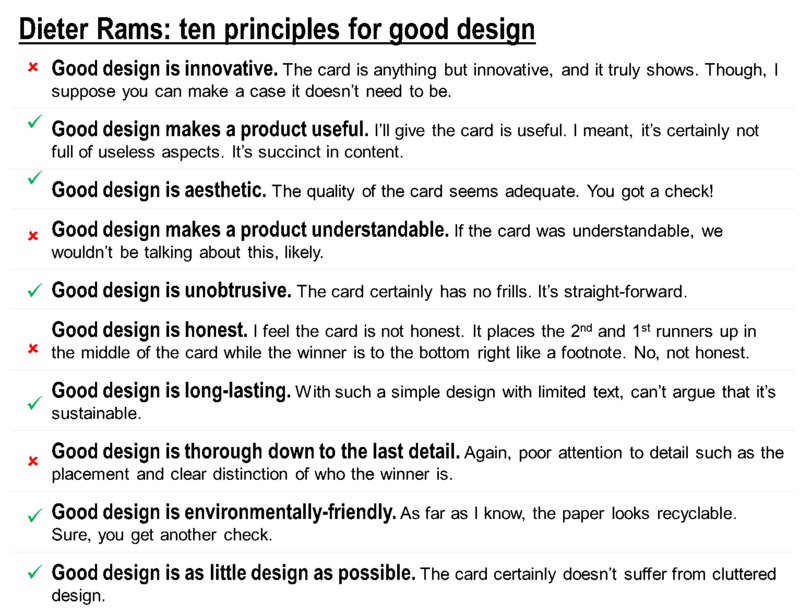 However, this took five minutes in PowerPoint, and it’s got a clearer message as to who won. The eyes follow a logical and natural progression from top to bottom with who won. Point is, UI and UX extend beyond technology of websites and applications. They’re crucial, too, in physical collateral whether that be brochures, business cards, and even pageant winner cards. See this bathroom door as another example. 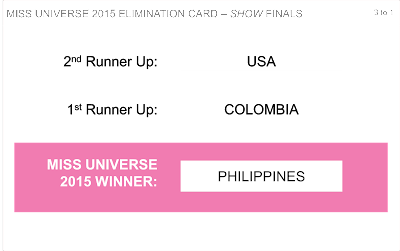 How would you design the card for Miss Universe? Any other poor designs you’ve seen, and you think you could design something better? My buddy David Vandegrift, consultant-turned-entrepreneur-turned-venture capitalist, recalled a conversation with a mentor who said it was an entrepreneur’s fault if the entrepreneur didn’t listen to his advice – “The Responsibility of Giving Good Advice”. David, however, believes it’s the advice giver’s fault if the message isn’t well-received. I agree with David. While building Body Boss, I met with many investors and entrepreneurs. They all volunteered advice. However, no one had experience in what we were building. A few pieces of advice made sense looking back, but most didn’t at our stage – i.e. early partnerships or chasing funding. I remember confusing/ upsetting a coach while demoing Body Boss. We sat in a room with several coaches projecting Body Boss. We kept using “consulting language” to the point one of the coaches abruptly stopped us and told us he didn’t understand anything we said. We failed to speak their language. We course-corrected quickly and never made that mistake again. 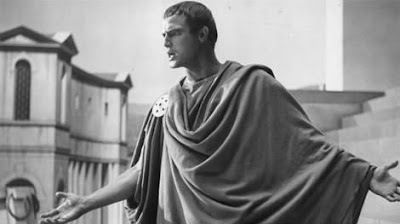 Reaching way back, I remember how a graduation speech left me…apathetic. The speaker was a literary savant with reading and comprehension skills far beyond 98% of the class. When he gave his speech, it, too, was beyond 98% of the class + those in stands. Classmates tuned out, motioning to one another they had no idea what he was talking about. His graduation speech failed to leave any impression because he didn’t cater his message to the audience. A good speaker knows his audience. He knows what resonates and will adjust his message to persuade and motivate his audience. Last Wednesday, I went to Nick Conti’s Professional Actor’s Studioto audit an improv class. I’ve always enjoyed doing improv not just watching. It takes a high degree of creativity, fast-thinking, and confidence. It’s also a highly useful skill for salespeople and entrepreneurs. In fact, Steve Wall, SVP of Sales for StudentBridge, incorporates improvisation as part of his interview process. 5-3-1 Conversation:Three people are assigned to a group and each member is assigned either 5, 3, or 1 word to respond. Members can respond in any order, but they must respond in exactly the number of words they’re assigned. Implication: Think fast and relevantly. Oftentimes, each person is so focused on answering in the number of words that his/ her response is pre-meditated making conversations choppy (not flow well). 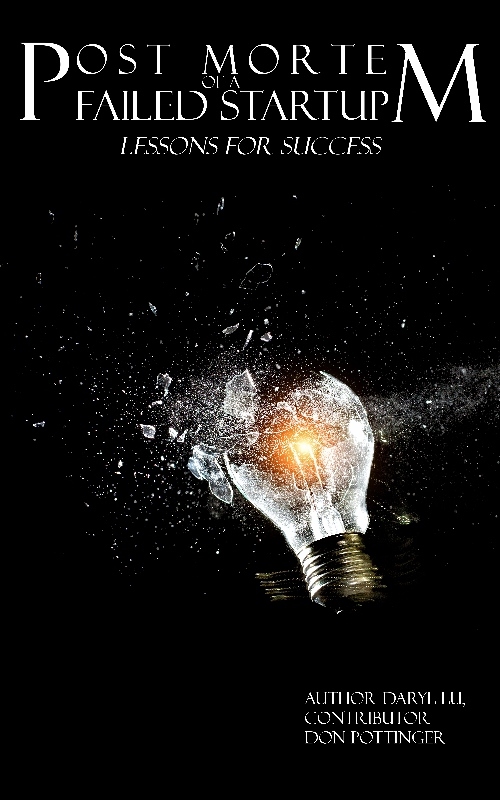 For salespeople and entrepreneurs, have a plan, but be ready to adapt. Scene: Actors could control the weather. I still don’t know what happened – they dancing, making it “rain”, and doing a “hurricane” dance. It was part mysterious Mother Nature Gods and part stripper scene. (You had to be there.) After the scene, the actors admitted they had no idea what they were doing, but they sold it very confidently. None of it made any sense to the audience, but we were leaning in wondering what we missed because they seemed so in sync that we were the ones out of sync. Implication:Confidence goes a long way in intriguing the audience, and great chemistry can create that confidence. Scene: Co-owners of a business discussing a merger. The scene opened with one actor hysterically crying while the other was trying to paint the glorious opportunity of the merger. However, they’re responses to one another contradicted an established sentiment – made little sense. Once a sentiment or fact is established, go with it and/ or navigate the scene to fit a purpose. Implication #1: Some prospects quickly give a negative response if they suspect you’re selling something. A good salesperson can navigate these barriers with open questions, get to a productive conversation, and reveal if there’s an opportunity at all. Implication #2: Some prospects are completely resistant to change and would never buy. Good salespeople know when it’s best to move on. I love doing improv, and I feel sales embodies the fun challenges of improv. Sadly, I was purely auditing the class. Perhaps I’ll consider taking classes for a couple months to up my game, or just continue selling and ask prospects for suggestions of a scene. How do you think improv can help the corporate world? What improv games have you done for sales, and what were the implications? I sat down with a new friend who is starting a natural soap company, and in a sense, interviewed her as inspiration for this blog post. I meet loads of entrepreneurs, and I’d like to start asking them similar questions to find common strings or uncommon facets of what makes them entrepreneurs. We did this with Body Boss asking coaches to answer a set of defined questions in addition to guest writing on our blog. It gave coaches an opportunity to market themselves and illustrate who they were while motivating others considering a job in strength and conditioning. This time, I’m doing it with entrepreneurs. 1. Why are you pursuing entrepreneurship? Entrepreneurship is fulfilling. Kelly wants to build something from the ground up, and see how her hard work materializes. 2. What is it that you’re doing? Making natural hair and body beauty products, specifically, soaps right now. 3. What made you start, and how? Kelly always had a passion for beauty products, cosmetic chemistry, and her interest in math and science. She learned of the soap-making process years ago, and really honed her idea four years ago. She would read a lot about the soap-making process as well as how to start building her business. 4. What are some of your earlier lessons learned from failure or otherwise? Lots of failures over the years. Kelly spent too much money on the wrong things including too much effort on festivals, pay-per-click, and even tactical things like having multiple email accounts and using the top-tier Shopify product. 5. What’s a personal area you’ve been working on to be a better entrepreneur? Everything Kelly did before was in front of the computer. Now, she’s getting out in front of people which she is very uncomfortable with. She doesn’t lack confidence as much as she doesn’t like to call attention to herself and tends to be introverted. Now, she’s forcing herself to be more extroverted. She wants to establish relationships including approaching a list of salons to help market and sell her product. 6. How would you define success as an entrepreneur? Kelly’s definition of success includes feeling fulfilled in what she is doing. She feels tied and passionate about her endeavor. She adds being able to quit her two jobs she’s working to pay for her supplies and sustain her dreams. She hopes to live a “comfortable” life on her company. Her views on success aren’t uncommon to many others’. Though, she views just having her own business as the goal. This flies in the face of so many young wantrepreneurs who believe the only way to define success is to sell a company for 7, 8, 9 figures.